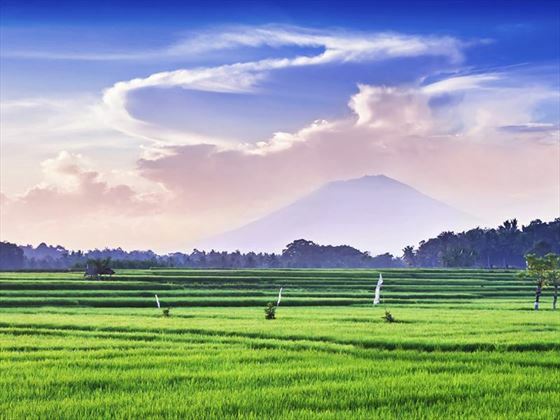 From the soaring volcanic mountains and sweeping rice paddies of Bali, to the breath-taking, sugary sand beaches of Lombok and the Gilli Islands, this fantastic multi-centre will immerse you in the excitement and beauty of this Far East region. 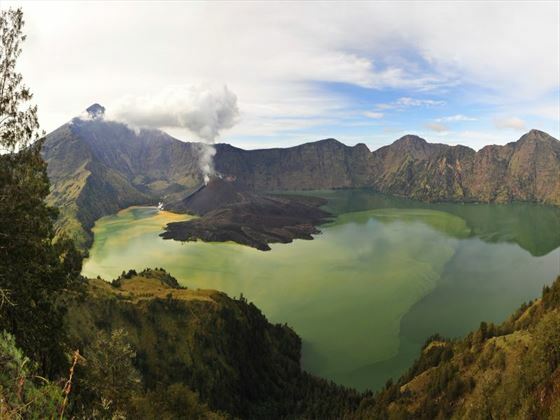 Your multi-centre includes five nights in Bali, three nights at Gili Meno, and five nights in Lombok, staying in luxurious hotels and spending your time delving into the culture (TM). 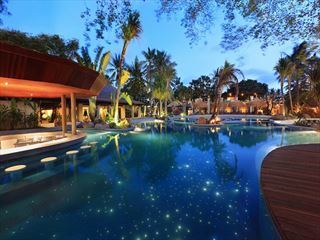 Fly overnight to arrive in Bali where you will be met and transferred to the Bali Mandira Beach and Spa Resort hotel, located on the Southern Coast, for a fabulous 5 night stay on the Legian beach. 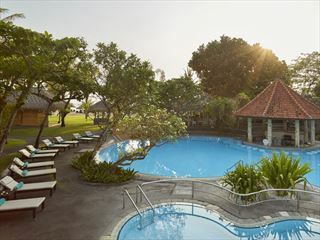 This Balinese-themed resort enjoys a prime location and excellent facilities – ideal for a fun yet relaxed holiday in the sun. With two swimming pools, Balinese yoga classes and the Glow Spa, you can truly sit back and take on the laid back culture they love to promote here. 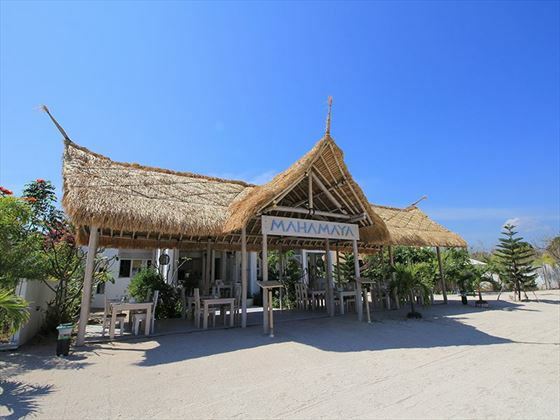 On day 8 after an early breakfast, check out and be collected for your speedboat transfer (approximately 2.5 hours) over to the beautiful Gili Meno where you will check into the Mahamaya Boutique Resort for 3 nights. Enjoy the resorts freshwater pools, on-site spa and enviable private beach location facing the sunsets on the west coast. Bicycles are complimentary to guests for easy exploration of the small island, where the only other traffic is a horse cart. 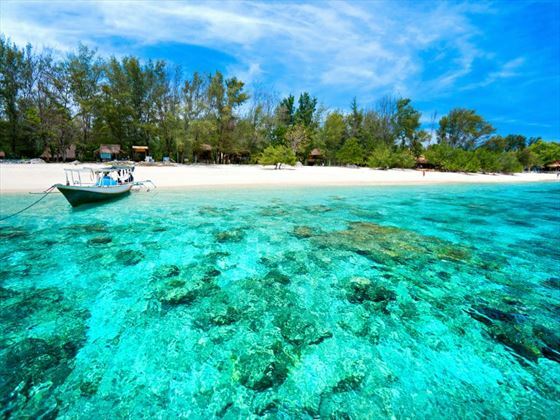 Transfer by boat to Teluk Kodek where you will be met and transferred the 45 minute journey to the Puri Mas Boutique Resort & Spa on the North coast of Lombok for 5 nights. 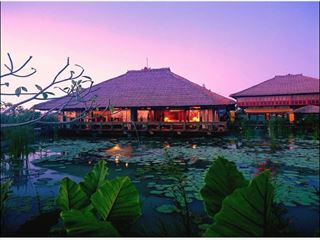 Puri Mas is actually two resorts, the beautiful beach resort where your accommodation is located, and the tranquil spa resort (5 minutes’ drive inland). Guests can enjoy complimentary car transfers between the two as required and you can choose to take your breakfast at the spa, or treat yourself to lunch in the amazing gardens where a welcoming pool awaits. 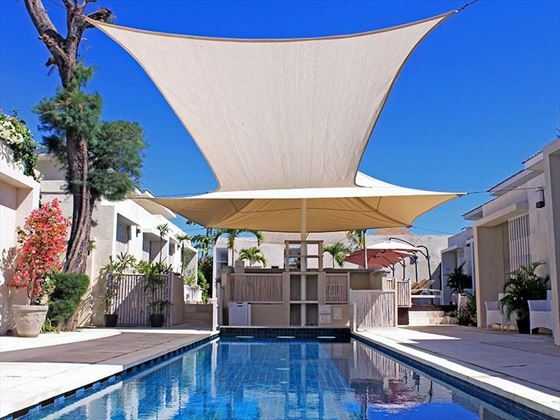 The central location allows you to explore the local restaurants and town nearby or head to the Spa and enjoy one of their rejuvenating spa packages - it feels very homely here! Check out after lunch and transfer by road to Lombok airport (approximately 90 minutes) for your overnight flight home. These hotels are based on our suggestions, if you wish to stay in another hotel or extend the number of nights we can tailor it to your needs. 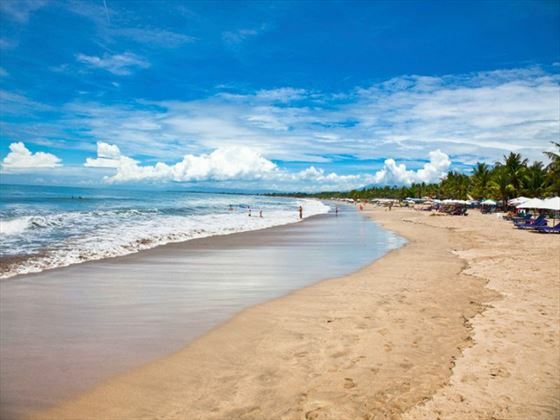 The Puri Mas Boutique & Spa Resort is for children aged 12 years and upwards only - if you wish to travel here with younger children please enquire with one of our travel experts and we can amend this itinerary to stay in more suitable hotels. * Airfares vary considerably so a variety of airlines may be included in our pricing to ensure you are presented with the best possible price such as British Airways, Emirates, Air France, China Southern, Etihad or KLM. If you would prefer to fly from a different airport or with a different airline, our Travel Consultants will be happy to adjust this at the time of enquiry and a supplement may apply. 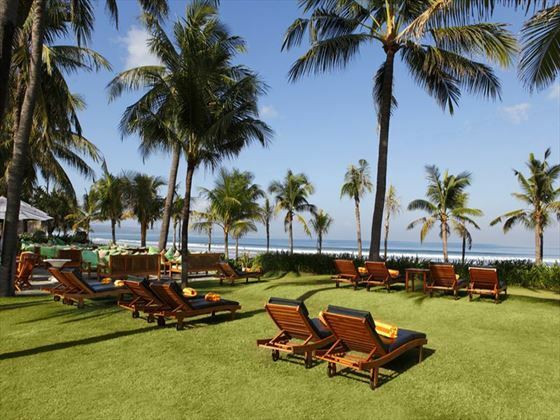 Located along the stunning stretch of Legian Kuta beach, this modern resort is a tropical oasis, providing gorgeous amenities and a tranquil ambience. Relax and unwind in comfortable accommodation, whilst overlooking panoramic views of the glistening ocean and enjoying what Bali has to offer. 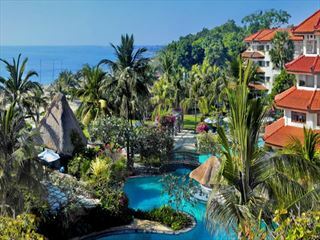 Free nights offer Stay 5 nights at Puri Mas Resort and pay for only 4 PLUS receive a 60-minute massage treatment when you stay at least 6 nights. Book by 31 Mar 19. Travel 1 Apr - 31 Jul or 1 Sep - 14 Dec 19 or 6 Jan - 31 Mar 20. 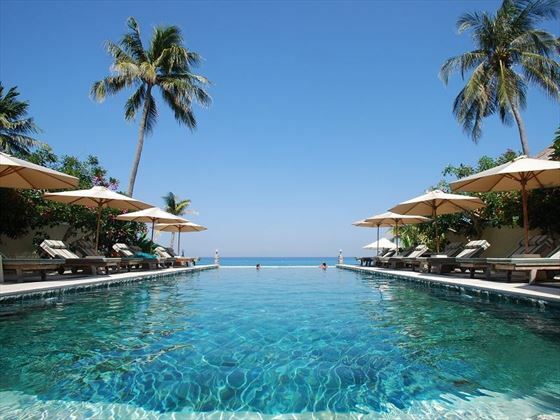 Early booking offer Receive 15% off when booked 120 days in advance staying at Bali Mandira Beach Resort during 11 Oct 18 - 31 Mar 19. Saving you up to €220 per couple. Discount is off room rates only. Not combinable with other offers. Offer is reflected in prices shown. This lovely Balinese-themed resort enjoys a wonderful location and excellent facilities – ideal for a fun yet relaxed holiday in the sun. There’s a range of accommodations available with something for everyone including couples, groups and families – it’s well worth upgrading to one of the more luxurious rooms if you’re looking for a romantic time with your partner. 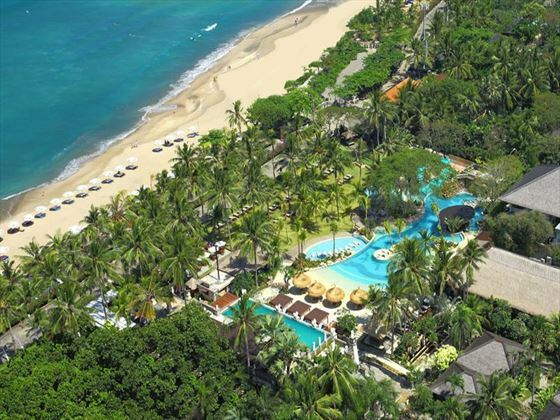 There are two pools, two restaurants and a kids club if you’re bringing children, Bali Mandira Beach Resort & Spa makes it easy for everyone to have a great time.